This vinyl fire bag offers easy storage and portability. 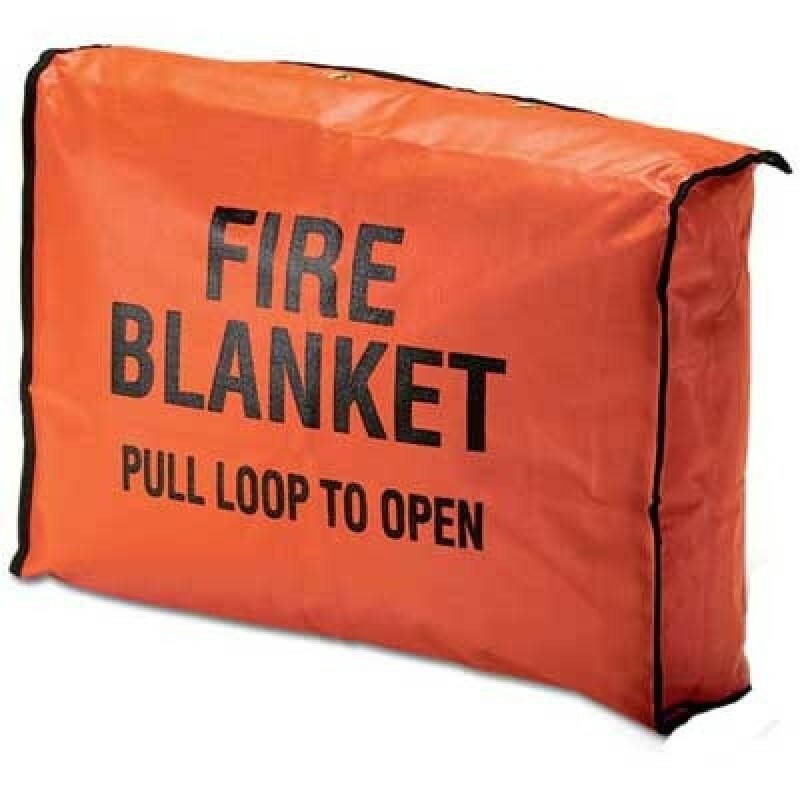 Fire blanket bag measures 17"L x 12"W x 4"D. Features 4 mounting holes with brass grommets and hook and loop closure. Holds wool fire blanket BRKFBR2.